If you are in a trade or profession, we can assist you with assessment of your qualifications. If you are outside Canada, you may want to contact our office for more information on transferring your needed skills to Alberta. The Province of Alberta has a number of categories in which they make recommendations to Citizenship and Immigration Canada on your behalf in the form of a nomination Certificate. Most skilled trades and professions qualify. If you do not have a skill, there are a number of services and manufacturing industries that have been included to assist you in becoming a permanent resident. 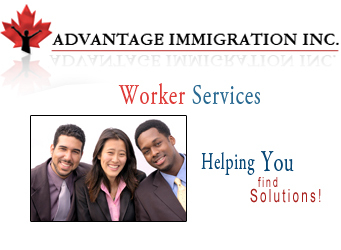 We can work with your employer to assist you to pursue this application. This most recent announcement has a major impact on workers ability to apply for permanent residence. If you have recently completed post-secondary studies in Canada and have one year work experience, there is a category for you. You may also qualify for the category as a Skilled Worker with two years experience and demonstration of functional English. We offer consulting services related to any number of questions that you may have in your application process.